Anailzing is a mobile nail salon in Hayle, Cornwall. Laura is a newly qualified nail technician and has set up her own business. She needed a professional brand image that reflected the quality of her service. Working alongside her to understand her business, target market and values we designed a brand image consisting of a colour scheme, a graphic image (logo) and appropriate font and wording to accompany the image. The creation of the brand is stage one in the process. 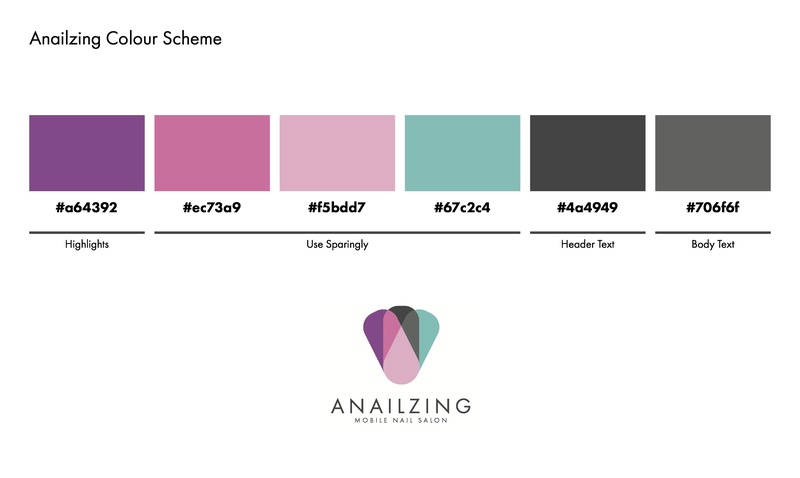 Next we will be designing Anailzing website using the graphics that we have created and the below colour scheme.